The royal wedding of Meghan Markle and Prince Harry is just around the corner – and were so excited. With the Duchess of Cambridge also due to have her third child with Prince William in April – its set to be a busy few months for the royals! Prince Harry and Ms. Meghan Markle are hugely grateful for the many good wishes they have received since announcing their engagement. They are looking forward to the day and to being able to share their celebrations with the public and wanted to share the following details about their wedding on May 19th. 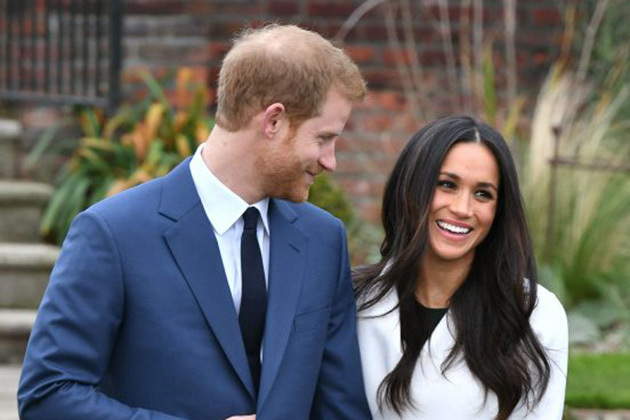 They have today confirmed that their wedding will begin at 12noon, followed by a carriage procession at 1pm around Windsor Town, and reception at St George's Hall. Later that evening, The Prince of Wales will give a private evening reception for the couple and their close friends and family. According to Kensington Palace, Harry and Meghan decided to say “I do” at St. Georges Chapel at Windsor Castle in England. The castle – which apparently holds around 800 people – is significant for Harry as he was christened there when he was just three months old in 1984. Harrys cousin Prince Edward and his wife Countess Sophies 1999 nuptials, and Prince Charles and Duchess Camillas 2005 service, also took place at the chapel. While nothing has been officially announced, were expecting to see a fair few famous faces in the crowd. 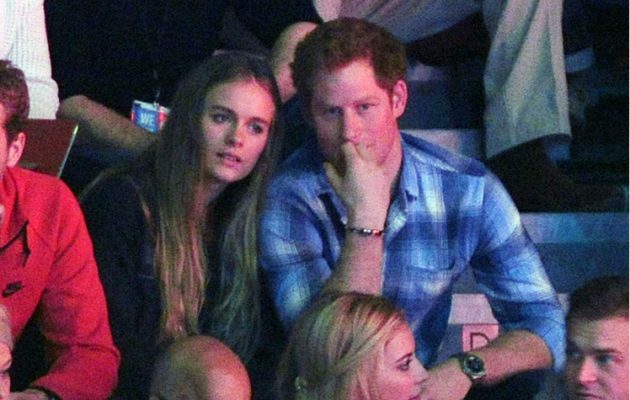 Obviously, the guest list is sure to include a whole host of royals including Kate, Wills and their kids George and Charlotte, as well as Kates sister Pippa Middleton and brother James Middleton. Its also been rumoured that 15 cast and crew members from Meghans USA show, Suits, will be invited including Patrick J. Adams, Sarah Rafferty, Rick Hoffman and Gabriel Macht. An insider told Hello! : “The cast has been contacted in regards to invites from Kensington Palace”. Were also VERY excited that the Spice Girls could be making an appearance, as Victoria Beckham all but confirmed her attendance when she was on The Late Late Show in April. Meghans wedding dress is set to be the biggest fashion statement of the year, so its fair to say fans of the family are getting just a little bit excited about what she might turn up in. The soon-to-be royal has previously been a fan of Canadian designers as well as London Fashion Week designers Erdem and Antonio Berardi and American labels Marchesa and Misha Nonoo, so its anyones guess who shes chosen to create the gown. Its previously been reported that Meghan is relying on her best bud and bridal stylist Jessica Mulroney to help her through the process of picking that perfect look. “I personally prefer wedding dresses that are whimsical or subtly romantic”, the actress revealed. Claire – who was previously interviewed by Meghan for her former lifestyle website The Tig – said: “I cant tell you how delighted I am to be chosen to make Prince Harry and Ms. Markles wedding cake. Meghan and Harry announced that Alexi Lubomirski will be charged with taking official photos at Windsor Castle following the ceremony. Alexi is the same photographer who snapped THESE stunning engagement photos of the couple at Frogmore House – so were expecting big things. In April Kensington Palace announced on their Instagram account that London-based Philippa Craddock has been hired to create the flower decorations. Phillipa will locally source flowers from the Crown Estate and Windsor Great Park gardens to make both St. Georges Chapel and St. Georges Hall look amazing. The displays in St George's Chapel will feature foliage from The Crown Estate and Windsor Great Park, and will use seasonal plants including branches of beech, birch and hornbeam, as well as white garden roses, peonies and foxgloves. The designs will reflect the wild and natural landscapes from which many of the plants will be drawn. The Royal Parks will also supply pollinator-friendly plants from their wildflower meadows. These plants provide a great habitat for bees and help to sustain healthy and biodiverse ecosystems. The post The Royal Wedding: Everything you need to know about Prince Harry and Meghan Markles big day appeared first on Woman Magazine.